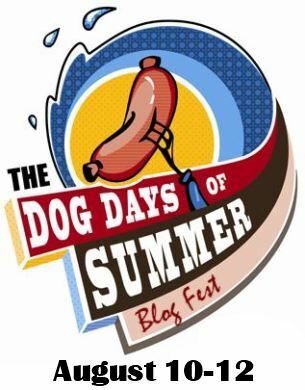 My friend, author Jeremy Bates, has a fun blog fest starting today — The Dog Days of Summer! This one celebrates summer, and what a perfect time for this. Before summer is over, I’ll be heading to Chicon, the World Science Fiction Con in Chicago at the end of August (see “events” page). I’ll be on two panels with some esteemed science fiction authors (I am so humbled), and also meeting readers at a kaffeklatch and signing. I’m also slated to be at the Chicago Public Library to meet and talk with teen readers (and anyone who is not at Chicon). Later, in Sept, I’ll have some Southern California signings, so see my events page. If I could be having a summer vacation, I’d probably be in Africa, maybe Rwanda, climbing the hills, seeking the gorillas. If you leave your email (break it up so spambots won’t find you) in a comment, I’ll pick a winner to receive a chapter sampler (collectible, I only have a few left and I’ll sign this to you) and bookmark of STARTERS, my YA futuristic thriller, published by Random House (US entries only). After you’ve done that, go to Jeremy’s site at the top and check out the Dog Days of Summer Blog Fest! I haven’t been to all of them yet, but the first few were a mix of adult and children’s. It’s fun, like a grab bag to find something new. Before you go, look around here a bit. I have a page with advice on getting an agent and other fun stuff. Thanks for stopping by! Previous Post: Winners of the YASH contest! Chicon sounds fun. I love taking to teenagers about writing. They really want to know and ask lots of quesitons. I would love to have the collectible chapter sampler too : ) Can never have too many book collectible things! That sounds fantastic! One of the guys in my local writers group, S.C.I.F.I., is going to be on a couple of panels at Chicon too. (His name is James Dorr.) One year, I hope to get the chance to go. The great thing is that it moves around. So maybe soon it will be close to you! Sounds like you’ve got a busy summer ahead of you, Lissa. I love your Rwanda idea, though 🙂 Good luck with everything! hey! thanks for mentioning the blog hop!! ive always wanted to go to africa! soon!! Hey, Jeremy, anytime you need something, give me a shout out! I’ve been to several countries in Africa on three separate trips. Love that continent. I’ve already learned something important, thanks to the blog hop. I’d love to go to Chicon some time. And Rwanda. (Odds are less in my favor for that one, though!) Happy Dog Days! Chicon is only this year. WorldCon moves around each year, which makes it fun. Maybe it will be near you soon. I just read Starters and it is currently my favorite book. Good job, Lissa Price. 🙂 I can’t stop thinking about what will happen in Enders. Thank you so much! I’m always interested in how readers discovered the book – was it from seeing it in a bookstore? Or did you see the trailer in front of the Hunger Games movie? Anyway, if you haven’t yet, I really appreciate reviews on Amazon and Goodreads. Love the Starters cover design. I think I might be hooked. Your end of summer sounds quite busy, but all good. Great to meet through the Dog Days. I’d love to win the signed chapter! Thanks for the chance to win! XD Im a Starters fan! I love Starters so much! I can’t wait for Enders to come out! It’s so close… I’m dying while waiting. Thank you all! I’m so sorry, Danielle, but due to some very good news that my publisher says don’t announce yet, ENDERS won’t be out until 2013. My apologies but it does also give me a little more time to really focus on the rewrite. There are two e-short stories set in the world of STARTERS – “Portrait of a Starter,” a 16 page story right before the book starts, told from Michael’s pov, so you get more insight into him and the cover drawing, and then “Portrait of a Marshal,” a 35 page story I’m very excited about as a marshal goes undercover in a teen’s body to solve a murder. Both are available on all e-formats, even google so it can be read on your computer. Links to the right. Michelle, I will have several SoCal signings in Sept and Oct! You book was truly epic! I loved every word of it! Cant wait for the next book to be released! My e-mail is mads(at)meylor(dot)com . Thanks for the giveaway! Really enjoyed Starters and would love a signed chapter. Luv oceans at aol dot com. Random.org picked kevin as the winner! I will email you. But take heart the rest of you, I might end up picking another winner later. Thank you so much for playing. Exciting stuff is happening in the world of STARTERS. I recently discovered Starters and read it in one night. I couldn’t put it down! Can’t wait for Enders!